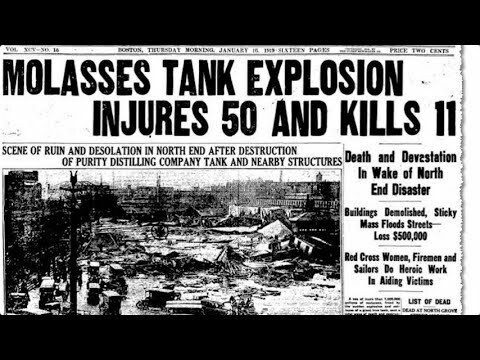 The Associated Press was there and published this story on Jan. 15, 1919, the day of the disaster. The toll of dead and injured was not fully known when it appeared. A dull, muffled roar gave but an instant’s warning before the top of the tank was blown into the air. The circular wall broke into two great segments of sheet iron.